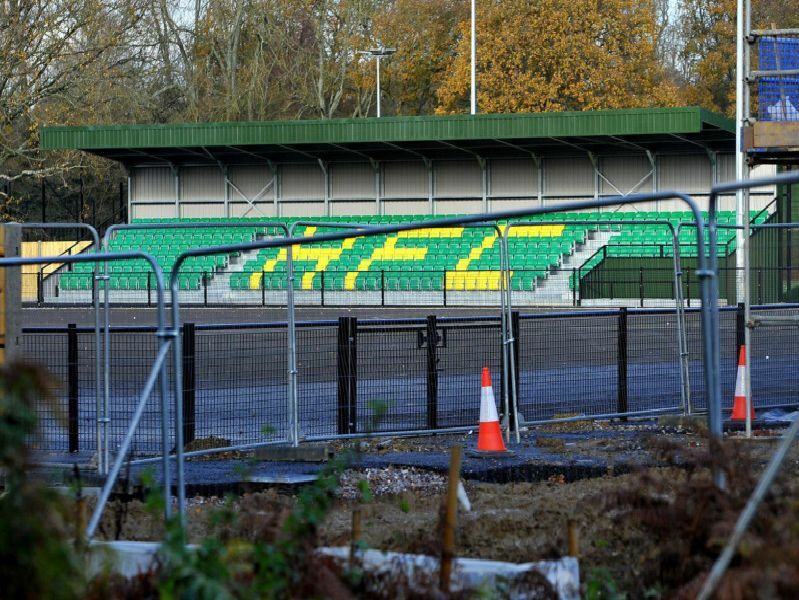 Building works at Horsham Football Club’s new home are continuing at pace with the main clubhouse and ancillary structure taking shape. The two main buildings at the stadium on the site at Hop Oast are being built in parallel, with the clubhouse showing good progress with the brickwork taking shape. The main pitch can be seen slightly to the left of the structure.